Note: This Site has no affiliation with any of the sponsors of the contests below. We have no input into the selection of winners. We are putting them here as a courtesy to our readers. 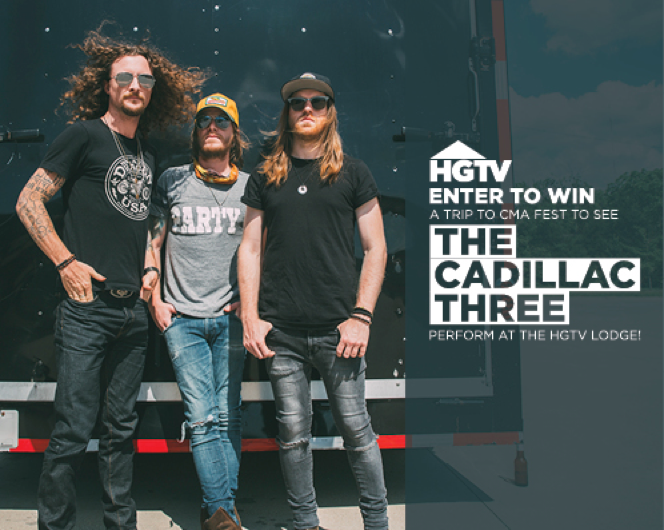 Sweepstakes ends Friday, May 25 at 5 PM CT.
Wanna see TC3 at CMA Fest this year? 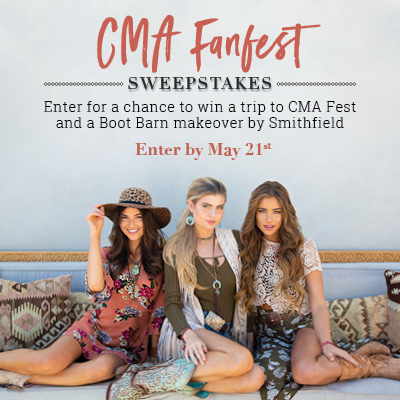 Enter to win a flyaway for 2 to Nashville! 2 tickets to the shows at Nissan Field, and more! Travel dates are June 6 - June 11, 2018. Sweepstakes ends May 27. Check your email May 28 to see if you have won. Two (2) pair of Maui Jim sunglasses. The approximate retail value (“ARV”) of all components in the Grand Prize is $2,000. ​Win a "Gentle Man" Fan Experience with Drew Baldridge! ​One luck fan and their guest will win a once in a lifetime Fan experience with Drew. ​A fan, that is randomly selected, will be given the VIP experience to have a songwriting session with Drew Baldridge. ​Later that evening, they will have a "Date Night" with Drew and his girlfriend. 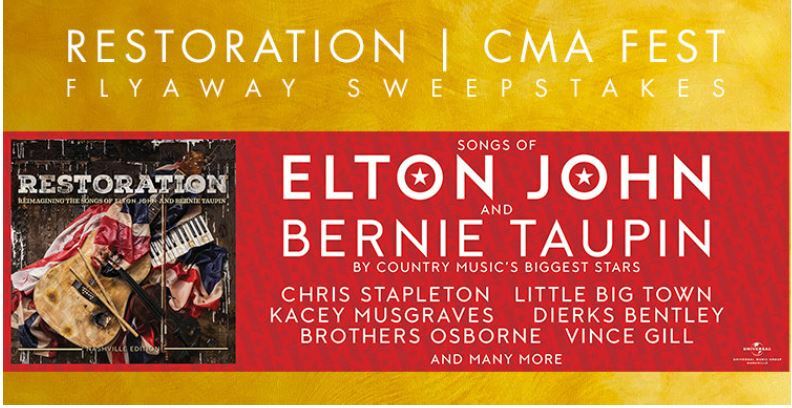 ​The winner will also be gifted 2 tickets to the CMT Awards and a $100 Uber gift card for transportation. Marty Stuart’s Late Night Jam. Win a pair of tickets to Marty Stuart’s Late Night Jam at Ryman Auditorium on June 6! Country legend Marty Stuart returns to the Ryman stage to host his annual Late Night Jam. This night of classic country music brings together some of country’s greatest performers. What better place to celebrate country music than the Mother Church? 2018 performers include Chris Stapleton, John Prine, Margo Price, Connie Smith, and more. Register for your chance to win a pair of tickets! Country music legend Charley Pride has teamed up with Coffee, Country, & Cody to offer a lucky winner a pair of 4-Day passes to see all of their favorite Country acts during CMA Fest 2018. Click HERE for more information about CMA Music Fest.Click HERE for more information about Charley Pride. 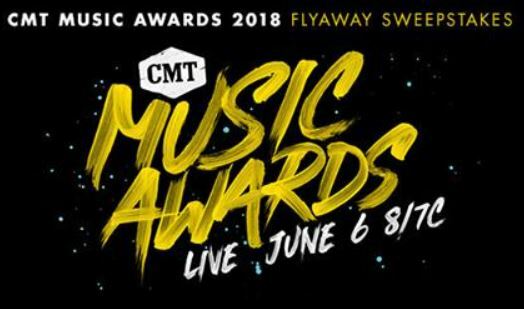 Enter for your chance to attend the 2018 CMT Music Awards in Nashville! 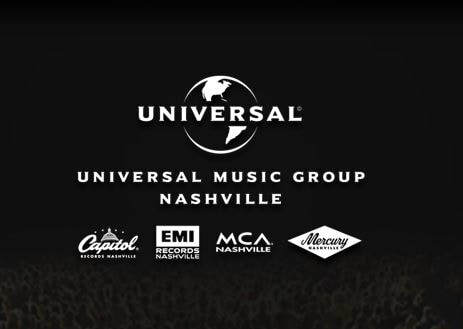 One lucky winner will get a trip for two to Music City and attend the 2018 CMT Music Awards this June! ARV of each Grand Prize package: $4,700.00. ​*Other prizes to be awarded. See rules for complete details.